Juicing has grown as an all the go trend due to its lots of beneficial attributes. It is worth mentioning that the nutrient contents specifically depend on what ingredients and juicer you choose to use. There are two different juicers which we know, manual and electric juicer works respectively according to their juicing mechanism. 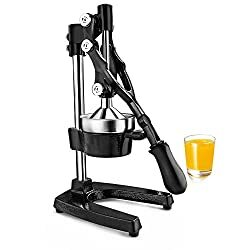 Manual juicer, the term clarify that it requires manual efforts to juice. Many of us think it is less efficient, but deep research can show you that it comes with some significantly alluring advantages. A manual press juicer is reasonably priced, easy to operate, and effortless to clean. Without applying any harmful metals and electronic procedures, it serves you the highest expected juice. I am putting forward some of the best manual juicers in this article which will let you decide for what juicer you should go for. 1 Why Choose a Manual Juicer? 2 Are There Any Disadvantages? Manual Juicer is popularly known as Hand Juicer. To run it, you will need to twist a crank or plug it into a plane surface. This juicer is driven by your hand strength to wring and squeeze the natural juice out of the ingredients. The manual squeezing considerably produces more nutrients of the highest quality. It needs basic pressing force, no electricity or external power source is required to run this extractor. Only using your hand to juice makes this juicer entirely portable. Moreover, it reduces operating cost; almost very little investment can let you possess a manual juicer than any modernly designed juicer. The juicer is easy to operate and clean as it has only a few parts. Without any moving parts and motor, it produces nearly no sound. Using it at midnight will not hamper other people’s soothing time. It is an ideal juicer for travel and even, it can be operated in any remote area as well. Besides many of the advantages, manual juicers have some disadvantages as well. Its pulp ejection system is manual which means you will need to clean pulp manually. The juice yield with a manual juicer appears with pulp. Many people like this simple procedure, but many dislike due to back-dated extraction mechanism. People who are aware of auto pulp ejection system generally don’t consider this type of juicer. A manual juicer is not ideal to bring out more juices from most of the fruits and grasses. This juicer is limited in type and efficiency. It requires extra patience and effort when juicing with this juicer. The manual juicing process seems time-consuming and provides less juice comparatively to an automatic juicer. People prefer healthy juice that can be prepared within a short time and the cleaning process is simple after juicing. The Lexen GP27 is deliberated as the best manual wheatgrass juicer. It allows you to prepare your green juice within 5 minutes or less ensuring more nutrients and natural taste. After finishing juicing, unscrew all the parts and rinse them under sink water. All are done, no extra time expense you need while using this manual juicer. 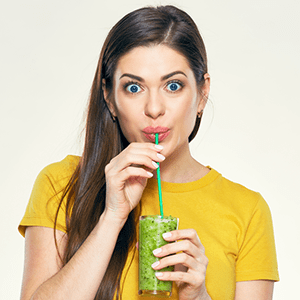 The finest multipurpose juicer, efficiently juices most of the vegetables including kale, celery, wheatgrass, spinach, parsley, and collard greens. Tough items such as carrots can be extracted properly using this juicer. The improved structure for ease of use and effortless cleaning. No hassle to assemble and disassemble as there are a few replaceable parts in this juicer. Due to less preparation time, you don’t need to change your daily schedule to consume some of the nutrients every morning or before bed. The juicer enables you to juice daily and maintains a healthy diet with almost ‘no toil’. Developed by the juice enthusiasts which enhance the efficiency of this juicer. Squeeze some citrus fruits with the Chef’n Citrus Squeezer to add freshness in your diet. This smart and user-friendly manual juicer is built on elegant design and innovative technology. The superior dual-gear mechanism makes it the best manual lemon juicer and a go-to tool in your kitchen. Enhanced pressing power ideally works for oranges; also squeeze small grapefruits, lime, and lemon producing more yields. More efficient juicer, produces up to 20% extra juice than any other automatic juicer. This glaringly colored juicer comes with new dual-gear technology that allows users to press with more strength. Strong stainless steel and nylon structure ensures a longer life with a lower risk of losing genuine quality. Easy to assemble and disassemble. You can squeeze more juice using this juicer while ejecting dry pulp with basically no effort. The compact design, the small-sized juicer can be carried everywhere. This is a great choice for on the go juicing. Hassle-free cleaning option, dishwasher safe parts let you clean it just as fun. First introduced in 1932 and still, the Hamilton citrus juicer is thought the planet’s best manual citrus juicer with heavy-duty structure, reliable performance, and graceful look. Juicer exerts up to 2,000 PSI that can extract more citrus yield from limes, lemons, oranges, and grapefruits. Rack and pinion gear system ensure extra leverage. Secure grip feet holds the machine resolutely in place so that you can juice finely without tipping. Less pulp and skin oil remains, easily removable abs plastic funnel and strainer cone let you clean the machine with ease. Wear and tear resistant construction, enamel finish ultimately enhances efficiency. Multifunctional juice cup to measure the juice amount, It can gather the juice oozing while maintaining the counter fresh by the removable cup. The quiet manual juicer comes with a 1-year global warranty. Sometimes the simple is the most preferred. The Bellemain is super-efficient, safe, and user-friendly manual juicer. It shows how a simple design can be the most preferred choice among juice enthusiasts. Powerful steel construction, silicone handles ensure ease of use. You can enjoy lifetime money back guarantee with ‘no question ask’ policy. Amazing! Reinforced hinges, strong levers, thick casting, and ideal bowl size – all the incredible features make this best manual juicer. Ergonomically designed juicer; silicone-bonded secure handles maintain strong grips and steady operation. Available in steel perfection which gives the same competence and looks after longer use. Easily washable with rinse, you can keep it into the dishwasher as well. Simple and compact design enables you to juice faster, no noise to bother you. The Pomegranate Juice Press is made of solid cast steel with an acid-resistant coating. All parts that exposed to food are safe and entirely polished. This manual juicer comes with skid-proof feet and longer foot that creates more space to work. Currently, with a Pomegranate Juice Press purchase, you can enjoy a lime squeezer with no cost. Commercial-grade juicer but specifically designed for home, made from durable materials for the highest longevity. Lever mechanism 3 pinion, 20” tall and 16 lb are basically an ideal size for a kitchen. The pressing mechanism and adequate amount of power make this the best manual juicer for pomegranate. Removable funnel and strainer cone allow cleaning simple and easy. Very sturdy and decent juicer with the silent feature; ideal juicer for travel and anytime use. Jupiter Juice Press is a commercial-grade juicer for home use. This cool machine makes your morning calm with a glass of fresh juice. Made of stainless steel and cast iron, Jupiter manual juicer runs more efficiently for long working life. It professionally juices oranges, lemons, limes, and grapefruits. A mid-size juicer produces professional-quality juice that holds natural taste and more nutrients. Rust-resistant cast iron and 18/10 stainless steel enhance durability. 2,300 PSI power can be applied to the ingredients using the rubberized handle. It means you can achieve the driest pulp and more juice from your ingredients. Ideal for juicing all citrus fruits, you can juice anytime and anywhere as it doesn’t create any noise. The structure is heavy which ensures maximum stability, a longer and stronger handle is for extra leverage. Clean it faster, hand wash is recommended for the funnel pieces and cone. 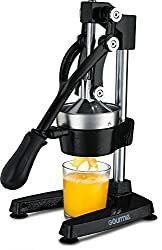 New Star manual juicer is undeniably the best manual juicer press for its sturdiness and power to juice almost anything. The machine is quite heavy, weighs 13 pounds. This great looking juicer, no doubt is a quality machine with catchy design and durable structure. The machine itself is securely cast and looks probably powder layered with a perfect finish. The joint and attaching screws work smoothly devoid of any noise. Assemble and disassemble can be done easily, most of the issues can be fixed at home without the assistance of professionals. Professional grade juicer, available in black. Made of quality materials, cast iron and 18/8 steel which are safe for health. A comfortable rubberized handle will produce 2,300 pounds per square inch (PSI), a strong force to squeeze leafy greens. Particular juicing strength for watery ingredients; most yields come from oranges, limes, lemons, grapefruits, and more. Heavy base provides greater stability and lets you press easily. Longer handle creates extra leverage. Easy to disengage, funnel areas and cone are dishwasher safe. As you have noticed, foresaid juicers are the best manual juicer among all other selections available in the market. They are efficient for juicing, suitable for usage, and convenient for carrying and cleaning. Compact size and durable catchy design make this juicer an amazing selection in your kitchen. The above list speedup your consideration and let you start your juicing swiftly.